This 36kW ground mounted system was the first of four systems we installed for Cedar Park Storage in Verona, Virginia. 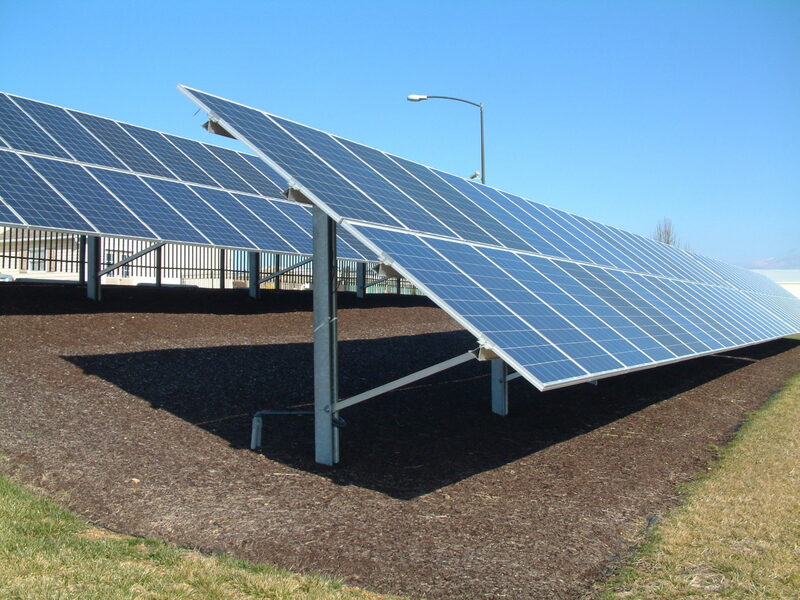 In total, CPS has over 75kW of installed photovoltaic (PV) solar. They also have a solar thermal system heating the water for the manager’s apartment and office warehouse complex. The systems were installed using the REAP Grant, which provides 25% of the system cost back to the owner in cash. Return on invested capital for a system owner is above 25%. Business owners, we offer our grant writing service free of charge! Please note, in all our systems, the panels are plum, level, ….perfect. We take pride in our craftsmanship.